Peiharn is a freelance soloist and collaborative pianist in New York City. She graduated from NYU Steinhardt School of Culture, Education, and Human Development with a M.M. in Solo Piano Performance in the studio of Eduardus Halim (the last pupil of Vladimir Horowitz). During her time at NYU, she featured as a soloist in many concerts: highlights include the Festival of Spanish and Latin Piano Music (February 2009), the Chopin Bicentennial Festival (February 2010), Tuttle le Corde: Music after 1950 (March 2011), and the Liszt Festival (December 2011). 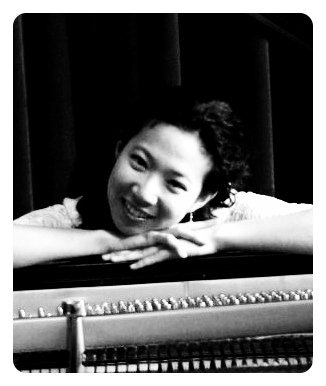 In addition to her solo work, Peiharn’s interest in instrumental and vocal repertoire has led her to appear often as a collaborator in chamber ensembles and recitals, most notably the Saklad Chamber Series (December 2009), where she played the works of Lou Harrison and Astor Piazzolla. In February 2011, she was featured in a recital showcasing the vocal works of Turina, Poulenc, and Barber at Greenwich House Music School. The summer 2008, she made her first trip to Italy, participating in the Schlern International Music Festival, where she performed in a series of solo and chamber concerts featuring the works of Schumann, Fauré, and Dvorak in the Italian Alps. She also works with young rising composers, such as the West Fourth New Music Collective. Peiharn also teaches private piano around the city. She has taught private and group piano classes as an Adjunct Instructor at NYU, as well as private piano lessons at the British International School of New York. Currently, Peiharn teaches at Rubato, as well as the Riverdale Music School in the Bronx. She maintains a private piano studio in New York City. What will make a student learn best? And what do you enjoy most about teaching? Teachers have such a wonderful privilege in being given the power to help shape the thinking and beliefs of their students. And because we are given such a power, I think it is important to show my students the myriad of possibilities that are available to them in music. There is nothing to spur on the desire for knowledge in a student as showing them the possibilities and paths they can discover on their own. To this end, I encourage students to listen and play as many different types of music as possible. I strongly believe that each musical period and each composer set his pen to paper because he had beautiful musical thoughts in his head. My challenge for students is to discover that beauty and to come up with the ‘why’ and ‘how’ of each piece they play. When I first came to college I detested Bach and found his music to be tedious and endless. But then my teacher sat down at the piano and played me excerpts from the Bach French Suites, bringing out the different colors in the lines, the liveliness and excitement in the gigue, and the sweet seductiveness in the sarabande. He talked about the fascinating intricacy of Bach fugues with a gleam in his eye and giggled enthusiastically over his favorite passages. My interest was piqued; I wanted to see if I could make Bach as interesting, beautiful, and fanciful as he. More than just how to play Bach that day, I learned about the curiosity of discovering how to create an individual interpretation from something pre-existing. I find this curiosity to be the most important thing to open up for students. The fact that students will have to figure out through music how to communicate without words really opens up their ways of thinking. It challenges them, and hopefully, creates an interest in the art of playing the piano beyond the technique. It is only through the making of beautiful art that we can spread music’s joys with our students as well as, in teaching them, instruct them how to then pass this on to others. For me, this end result is what makes being a teacher wonderful.